I loved this book and have read the ones before. I was recommended it when I was 9. Although I was 9, I am a advanced reader and im now 10 and read teenage books so this book slotted in well. Another incredible book full with more codes and tension. Also the third book has come out it is called catch your death. I liked Ruby who is a secret agent, and some of it was very funny. I found it hard to put the book away once i had started reading. 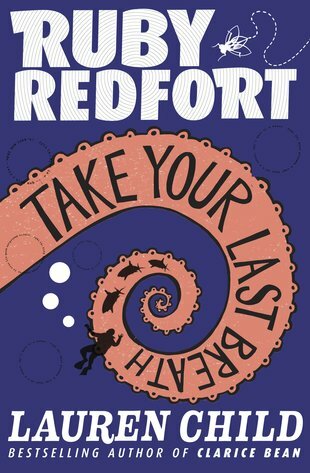 I absolutely loved Ruby Redfort Take Your Last Breath. I’ve already read and reviewed the first Ruby Redfort Book, and this one was equaly as good, if not better. It has a brilliant plot and characters and has humour incorporated into the whole storyline. My favourite character is Clancy, as he sometimes reminds me of myself. Overall, I though this book was absolutely brilliant and hope that she writes another book in this collection, which is worthy of 5*.